I read this article and found it very interesting, thought it might be something for you. 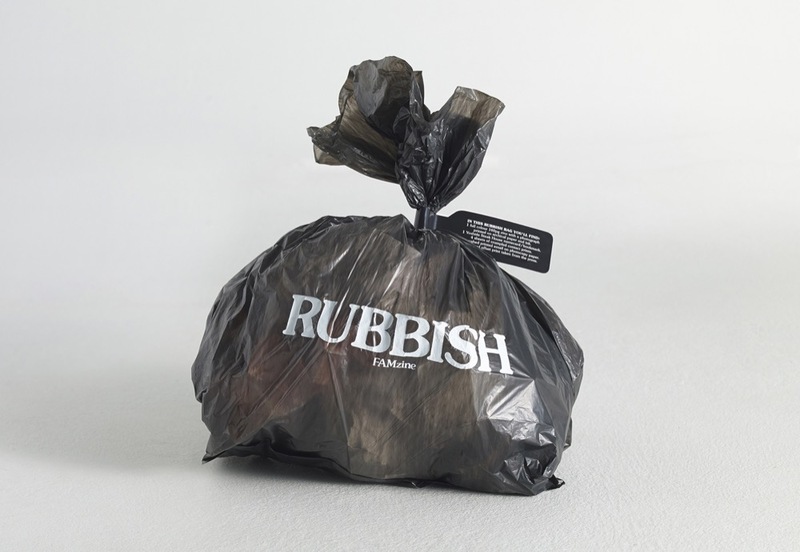 The article is called Magnified – Rubbish FAMzine and is located at https://www.totallydublin.ie/more/magnified-rubbish-famzine/. 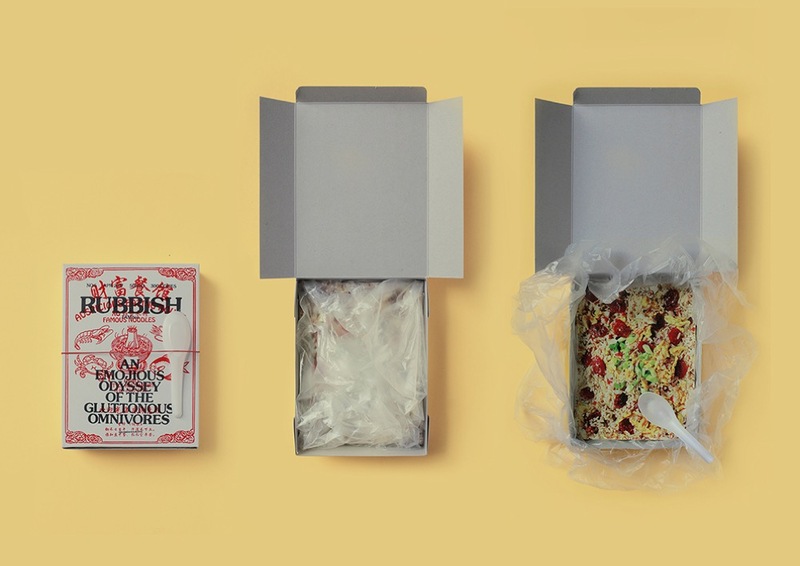 Rubbish Famzine is a sensational creation by the Lim family in Singapore. Each edition, limited to 300 copies, is a hand-made object of desire. 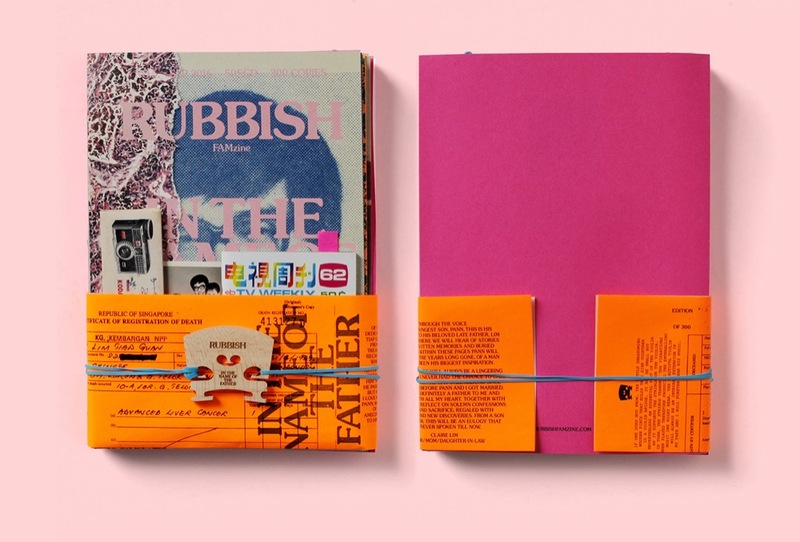 Rubbish FAMzine is the ultimate labour of hand-crafted love – where did the idea to create a family zine come from? Our very first issue of Rubbish Famzine came out in the September of 2013 but we have to go back a couple years to give you a better understanding of how it all really began. In 2011, together with Claire, Renn and Aira, our family art collective Holycrap! came into being. When Renn was really young he loved to doodle and draw and over the years Claire kept all his little pieces of scribbles, even those done on torn papers or used envelopes etc. Of course, because we both studied design and love the arts we always encouraged him. When Aira came along it was no different. Over time I was also thinking that if I was spending so much time outside of the home doing my design work, giving lectures and teaching other young students, shouldn’t I also be doing the same for my own kids. So it was pretty much a momentous realisation that Claire and I decided to start something together with the kids. Not only can we spend good time together doing projects and have fun doing so, but also to use art to further educate Renn and Aira. In 2011 when Renn was eight, we organised his very first solo art exhibition which he titled ‘Renn Lim by Renn Lim’ and it showcased his doodles from age three till eight and various acrylic paintings. The following year, Aira who turned six wanted to ‘follow in her brother’s footsteps’ and they had a joint exhibition ‘bLah bLah bLah’. Since then, they have had six art exhibitions together with the latest in the December of 2017. Rubbish Famzine came about half accidentally and the other half was probably always something brewing at the back of our minds. During the school holidays in 2013, the four of us went on our very first ‘family only’ holiday to Japan, specifically Tokyo and Kyoto. We armed everyone with our very own basic point and shoot camera and we simply told the kids to take pictures of anything and everything. After 13 days, we came home with over 100 rolls of film! Of course, most were from my camera but the kids shoot about 6-8 rolls each. After developing the negatives, there was simply so many stories and moments captured and we began to wonder how we could document all these for the kids. Another thing that Claire and I love a lot is printed matter; books, magazines, letters, basically anything tangible which you can hold and read. So we figured why not put all our photos and thoughts into our very own zine. In a very huge nutshell, this was exactly how Rubbish Famzine came into existence. How did you encourage your kids Renn and Aira to get involved? Claire was also very adamant from the start to have Renn and Aira fully involved in our thinking process and having their voices heard. She always encouraged them to write down their thoughts and ideas and to share with us their feelings, the good and the bad ones as well. We too believe that kids can often have wonderful ideas which sometimes adults are unable to conjure up because of their youth and innocence. They can also be brutally honest, for example I will never forget when we told the kids our idea of putting our Japan holiday into a zine and Aira replied immediately “But who would read a book about our family holiday? It’s just about us!” It really made us laugh but it also made us realise that kids do have a voice and have their own minds. Basically we told them that it is ok if no one else reads our zine because we truly made it with Renn and Aira in mind. We wanted to build and collect memories with them and our zine was like a dairy of sorts for us. Can you describe what an editorial meeting is like and how roles are assigned? Haha the kids were saying that the word ‘editorial’ and ‘meeting’ sounds so formal and proper. But yes, it is another way of us calling out for a ‘family discussion’ right away. And most times, instead of sitting around the table, we will all be seated (or sprawled) on the floor with a pot of hot green tea, some snacks and our notebooks and pens. In the early stages of any brainstorming session, everyone has to come up with ideas and suggestions. Whether it’s when we are trying to think up of a new theme for the next zine or art exhibition or any other projects we might have on hand. We are pretty much democratic at home and the idea with the most votes wins! But definitely there will be times when either Claire or I will have to make the final decision because of certain constraints or restrictions. The majority of the design work will be handled by myself and I will usually print out mock-ups to show the family and they can give further feedback or suggestions. Claire does all the writing and when there are sections when the kids need to write then Claire will edit from there. Renn and Aira will always handle all the paintings and illustrations needed. And when photography is required, everyone can contribute. So basically how we function is a pretty organic one and definitely a collective effort whereby all are involved from start to finish. One issue looked at celebrating your late father Lim Tiap Guan – how therapeutic was this exercise and what went into its creation? Issue No.5 In The Name Of The Father was really about documenting my Dad’s life story for my kids because sadly he passed away long before the kids were born. Since they were young, they were always keen to know more about my dad, always asking questions like how was their Grandpa like. So I thought it would be wonderful to take this chance to tell his story and at the same time a perfect moment for me to pay tribute to the person who deeply influenced who and how I am today. In this issue, the four of us were also able to include an eulogy to my dad as I was unable to do so during the funeral. And as for the kids, it was lovely to see them comfortable enough to ‘connect’ to the grandfather they never had the chance to meet. The current issue ‘A return to forever 80s’ looks at 1980s pop culture. In it your describe how you hope your children will outgrow ‘the age of convenience”. You have everything from dymos, stickers and a plectrum all attached by hand in the current issue. What other lengths have you gone to and how important is it to instill detail, craft and dedication into children from a young age? Things these days are really almost instant, immediate and fast. This ‘age of convenience’ is unavoidable and also a positive one; for most times at least. But we would want them to ‘slow down’ a little once in a while, to enjoy doing things at a more leisurely pace. Like when they were much younger, playing vinyl, listening to music or children’s stories gave them so much joy. But when they discovered that they could get all that with a click or press of a button, (think iPad, YouTube etc) ‘quick and easy’ took over ‘slow and steady’. Hopefully when they grow older, more mature they can re-learn to appreciate all that once more. With our zines, one of the most crucial and precious aspect of it all is the personal handwork that goes into each and every single one. Everything from pasting stickers to cutting up labels to collecting flowers for pressing, stapling of papers, tearing, stamping, packing, gluing, you name it, the four of us would have done it. We wanted our personal ‘DNA’ to be a part of our zines because we treasure the work we put out and when we see others appreciating the things we do, we feel touched and honored. All this work obviously requires a certain amount of perspiration and dedication and we really want Renn and Aira to understand the importance of putting their heart and soul into the things they do; to learn about passion and deadlines. They were really young when we embarked on this and perhaps it was pure fun for them back then. But as they are growing up along with each and every zine, they are still discovering something new to learn, some new difficulty they will face. Sometimes they will even find it a chore to do certain work, but this is exactly why we wanted to work together as a family, to discover and grow in unison. 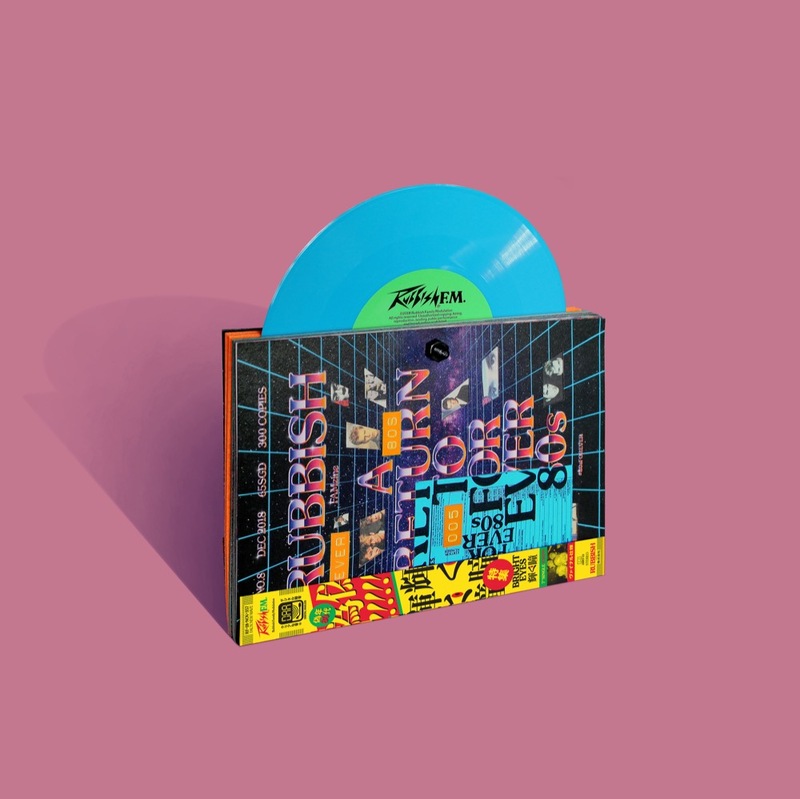 You created a ‘no-hit wonder single’ Bright Eyes which accompanies the new edition as a glorious 7″ vinyl. Can you tell us more about this? Music is another HUGE aspect of my life ( I played in two bands growing up) and everyday I surround myself with the music I love. Claire may not have learnt nor play any instruments but she loves and appreciates music all the same. So again, exposing the kids to music since they were babies was simply a natural extension of us sharing our passions. When we started to work on the idea of creating an 80s dedication issue, I knew straight away that I wanted the four of us to write, compose and play an 80s-inspired song. Aira is not trained musically either, and Renn only had some basic piano and guitar lessons. But I knew Aira loved to sing (actually Renn was in his primary school choir for six years! But to get an ‘awkward-angsty teen’ to sing now is mission impossible 😉 so she readily agreed to be our lead vocalist, Renn could work on the bass while I did the lead guitars and Claire gamely volunteered for the keyboards. 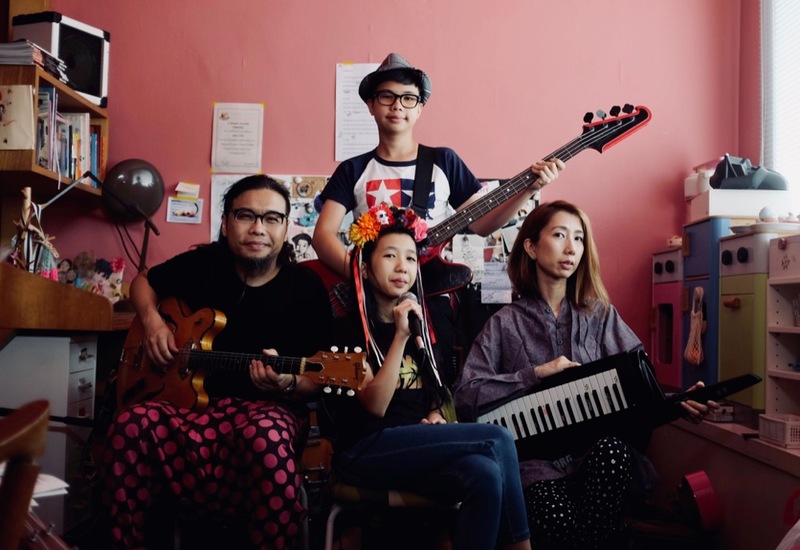 In her own words, “Hah, easy la, I can play one or two fingers at a time!” Renn and Aira were also tasked to write the lyrics for the song after which we all edited it together while I figured out the chords and melody, with the kids contributing ideas along the way. That feeling of making music with my family is pretty hard to describe but it is definitely one of the best feelings in the world. You remind me of The Trachtenburg Family Slideshow Players in terms of the family unit being the creative core. Have you received much attention or acclaim in Singapore or elsewhere? Any surprising requests or FAMzine fans? Thank you for thinking of us in the same vein as the lovely and kooky Trachtenburg Family (OMG! Using old abandon slides for storytelling/singing how genius is that!!) Indeed, it is always wonderful to see families working together in whichever areas because the whole point is to do things together. What we do with our Famzine is really very much on a very very small scale (every issue is hand-numbered to only 300 copies) but we have always been extremely grateful that all our our zines are sold-out within weeks of release. Every issue have also picked up design awards locally and internationally for example Singapore’s highest design accolade – President’s Design Awards, multiple pencils at the British D&AD and New York One Show. We also never expected to have wonderful supporters from across the globe requesting for our zines. This is more than enough for us, to have fans everywhere loving our work. What are you working on for the next edition?